A first lecture on the Economy of Communion was held at CUA in Washington DC this last Tue Oct 21. Its title: “Gospel Values and Competitiveness: Can They Work Together? The project of the Economy of Communion”. The promoter of the meeting was prof. Andrew Abela, professor of Marketing future director of the CUA “Business and Economics” department, who had known Eoc at a previous presentation at the Notre Dame University. After a detailed presentation of the project of the economy of Communion (history, mission, operational principles, data), John and Julie Mundell spoke respectively about the call to become Eoc businessmen and about the endeavour to sow fraternity in the community turning around the company. Another businessman, Nick Sanna, described the way his employees are valuated, when it comes to the annual evaluation, according to their engagement to the values that inspire the company. The interactive role-plays among participating students proved very effective. Tto behave first as managers of the company which pursues maximum profit and then as Eoc businessmen. Afterwards there was a time of very frank dialogue with the public, who was asked chiamato to intervene about the experiences that were told. somebody asked if clients and providers try to take advantage of a businessman living this way; Somebody else wanted to know the requirements to become a EoC businessman. The answers partially given by another attending businessman, Javier Garcete, deeply struck the audience. Infine, che nel 2000 Chiara Lubich avesse ricevuto una laurea honoris causa proprio dalla CUA è stata una sorpresa per tutti, compreso il prof. Abela, e ha aggiunto credibilità alla presentazione. Il Prof. Abela si è detto interessato a creare un Master in Business che adotti una prospettiva simile e a collaborare con il recente istituto universitario Sophia di Loppiano. 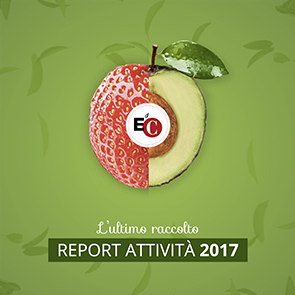 Il buon esito di questo evento è parso a tutti un frutto dell’impegno degli imprenditori di EdC e di quanti altri nel Nord America si spendono ogni giorno perché i valori di fraternità, rispetto e stima reciproca siano sempre più praticati nel mondo dell’economia.